When you decide to acquire a firepit for your yard, you have a lot of decisions ahead of you. Here are some considerations we recommend you keep in mind when looking for firepits. The fire pit should add to the tone you want in your yard and offer a complement to your home and landscaping. Don’t rush in when making the decision to find the perfect style, size, material, and color for your preferences. Codes and regulations in your area have to be included in your plan. This will indicate the right distance the pit must be from other structures and trees and give you precise safety instructions. 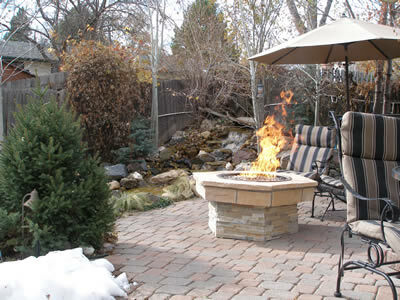 Some areas do not allow fire pits in backyards, so it is best to review early in the process. There are two options: wood & gas firepits. Gas fires are not usually as hot as wood fires, but they are much easier to start and control. Wood requires more maintenance than gas to keep the flames going, as you will need to continue to add logs, but it has the classic outdoor smells that many love to have in a backyard fire. Decide where your heating device will fit into your yard. Look around for a spot that is a natural and safe focal point. Many people choose to put their fire pit close to their swimming pool or picnic area. If you do not have an exact location in mind, or you do not want your fire pit to always be out in your yard, you may want to consider a portable model. You will be able to install it wherever it best fits into your event and store it when it is not in use. You want your firepit to be an enjoyable, stress-free addition to your yard. You should feel confident in the safety features of your fire pit and understand the risks involved so that you can take preventative measures. Pay particular attention to the wall around the pit and consider investing in a screen. Determine the intended purpose, as different styles and features highlight different functions. Will you be cooking over the fire? Will it be used to warm up your guests when they get out of the pool? Or do you just want a nice focal point for summer evenings in your yard? 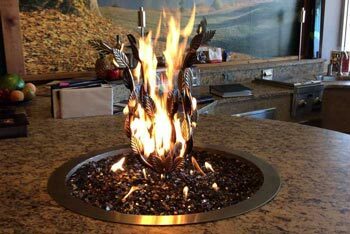 Get a high-quality firepit in Denver at Hi-Tech Appliance. For more information about our products and services, please call 303-665-0951 or visit our showroom in Louisville.